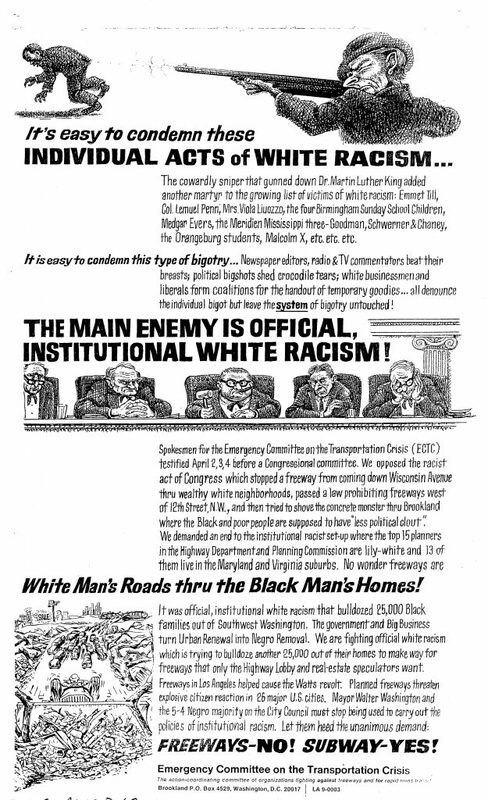 It has been 50 years since the riots that destroyed several DC commercial corridors. And it has taken about 50 years for life and vibrancy to return to those corridors. However at the time, several of those places were already in a downward spiral. The heyday had passed. When the community is strong and disaster strikes, you rebuild. When it is weak, you leave. Jessie McCain had a barbershop at 643 P St NW. During the riots it was completely destroyed. So what is there now? A parking lot. 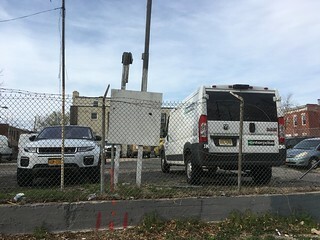 Next to it is a vacant lot, where Clark Construction has a couple of mobile office trailers that have been there for years. So in 50 years the only improvement has been clearing off the rubble. There were plenty more victims in Shaw for whom the riots were the final straw, and I’ll introduce you to them in the month of April. 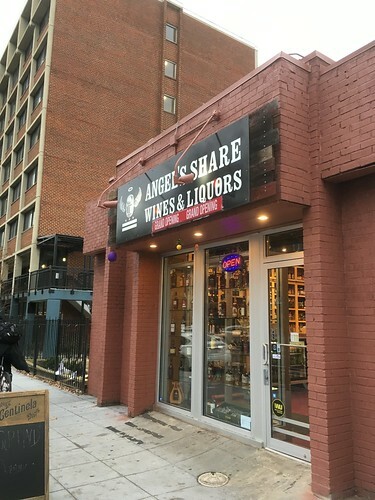 So I was allowed to escape my darling baby son to run some errands and noticed a new liquor store where an old liquor store sat at S and 7th St NW. It is a different liquor store in that the corner doesn’t reek of fake pot and there isn’t a crowd of purposeless Black men hanging out in front. The inside probably is different too. I wouldn’t know as the old store “Log Cabin Liquors” was impossible to see into. The new store. Looks very nice from the outside. 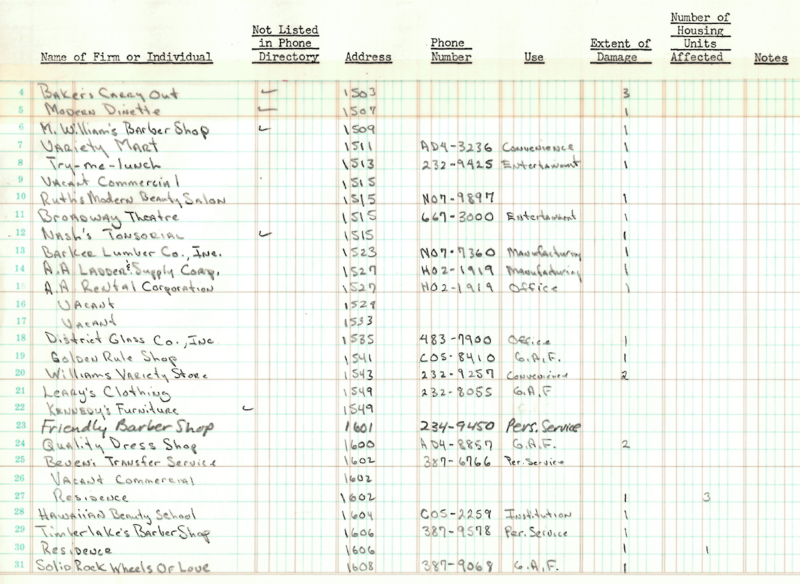 Unfortunately in the history of the neighborhood, liquor stores were bad news. 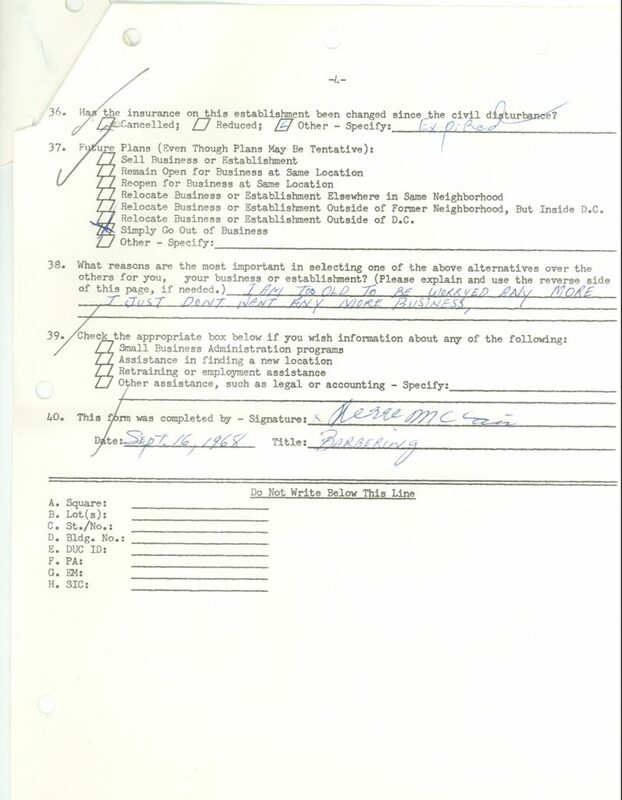 For those who didn’t know, for about 2/3rds of the 20th Century chunks of Shaw was a slum or downtrodden neighborhood. 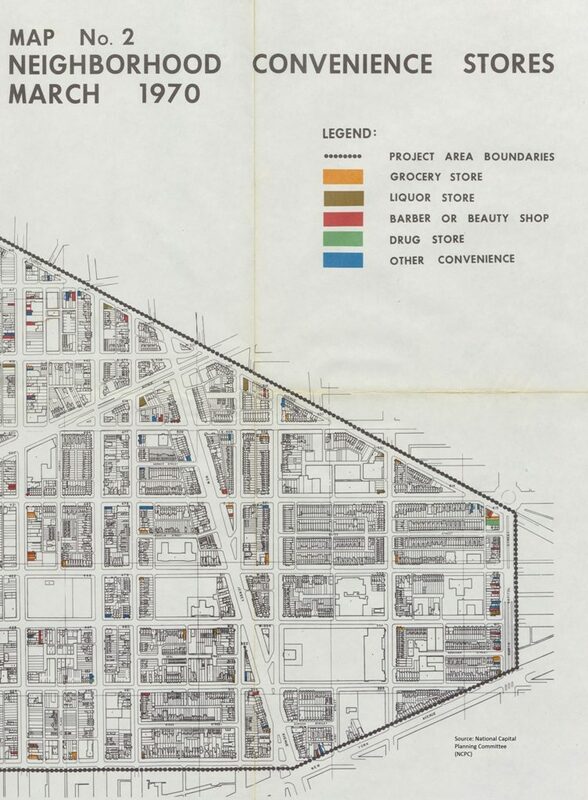 In the map above liquor stores were in the brown and they dotted the neighborhood. You will find a lot of liquor stores in downtrodden neighborhoods, with unsavory characters hanging about. When I moved into my neck of Shaw, it was natural to fight the renewal license of liquor stores because they were problems. They didn’t reflect where some neighbors hoped to progress. Those places sold wino liquors (Mad Dog, 40 ozs, etc) and sometimes other things adding to the drug trade. They catered to the poor who were trying to drown their sorrows in cheap booze. Alcoholism isn’t helpful, and doesn’t raise anyone up. I would go all Carrie Nation, if I didn’t enjoy the stuff, as I’ve experienced the destruction of alcoholism in my family. When residents and church representatives challenged the ABRA license, the destructive nature of alcoholism was brought forth because we saw the evidence of it littered in our treeboxes and passed out in our parks. Yes, the new ‘good’ shiny liquor stores are a reflection of gentrification, but they aren’t making money off of panhandlers and seniors cashing in their social security checks to self-medicate themselves into a stupor. The bars and liquor stores are not like some college town places helping patrons to get drunk fast and cheap. Drinks are stupid expensive, and at some places carefully crafted so you don’t gulp them down, but rather savor the notes and whatever. As a resident I like these bars and liquor stores that cater to a more responsible (and yes moneyed) crowd. Parks are more fun when there aren’t smashed liquor bottle glass sticking out every few feet. Somewhere in this town is a drink that uses spruce, like in the tree, where can I find that? I watched the most recent Jane Jacobs documentary ‘Citizen Jane’, which then led to listening to podcasts about Jane Jacobs and Robert Moses. If you are not familiar with the story, Robert Moses was a very powerful man in the early 20th century who was very good at tearing down structures (slum clearance it was called) to build parks and parkways. However, another word for parkway could be highway. Jane Jacobs was the journalist/ author/ activist who stopped him from building a road or highway through her Greenwich Village neighborhood in the 1960s. Highways, were the big thing after World War II. Prior to the war cities were big on slum clearance. Slums, according to one definition, were places where there wasn’t a lot of indoor plumbing. But most seem to define it as where poor people live in poor conditions. You mix the slum clearance with the highway funds and you have lots of plans to destroy neighborhoods. There was a plan to extend I-395 past New York Avenue NW, where it currently terminates. The above map from 1957 shows this. 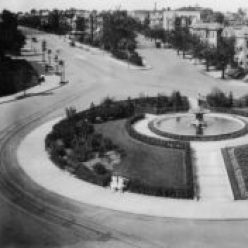 There are a few landmarks to help you figure out where Truxton Circle is in all this, such as the Capitol, Union Station, Logan Circle and Mt. Vernon Square. Where you see the #10 is a white mass of something, that is a proposed expressway that was to connect I-395 to an inner loop. To create this roadway tons of housing in what is now Truxton Circle would have to be destroyed. Actually, if this were to have gone through there would not have been a Truxton Circle neighborhood. So what happened to keep this from happening? The sixties. There was a change in the 1960s where people pushed back against the government, and this was a government plan. The culture of the Civil Rights movement played a major part in this, and that is another post for another time. So I was bopping around the Library of Congress site, looking to tell one story. 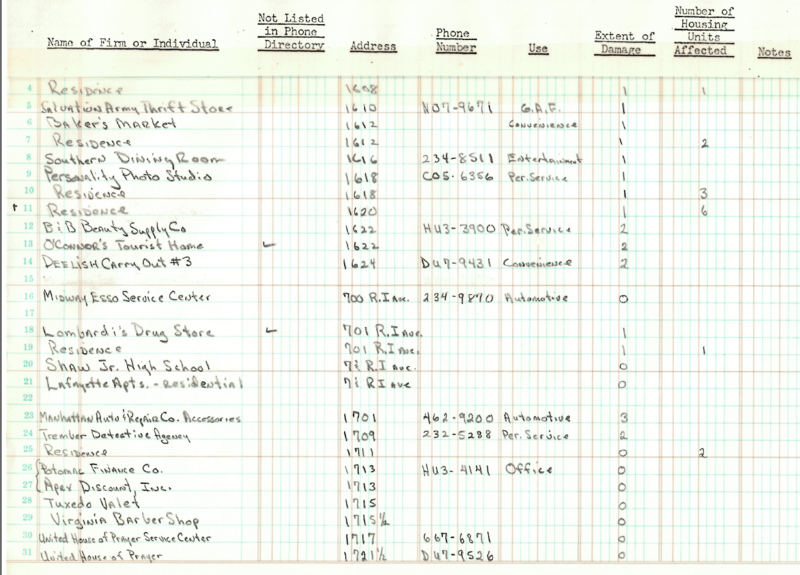 Well, because I’m too lazy to figure out how to search properly (I’m very disappointed in myself as a librarian) I came across a few photos of life in 1942 around the area of 7th and Florida Avenue NW. As you know Florida Avenue tends to make up the northern border of Shaw, or what was to become Shaw. 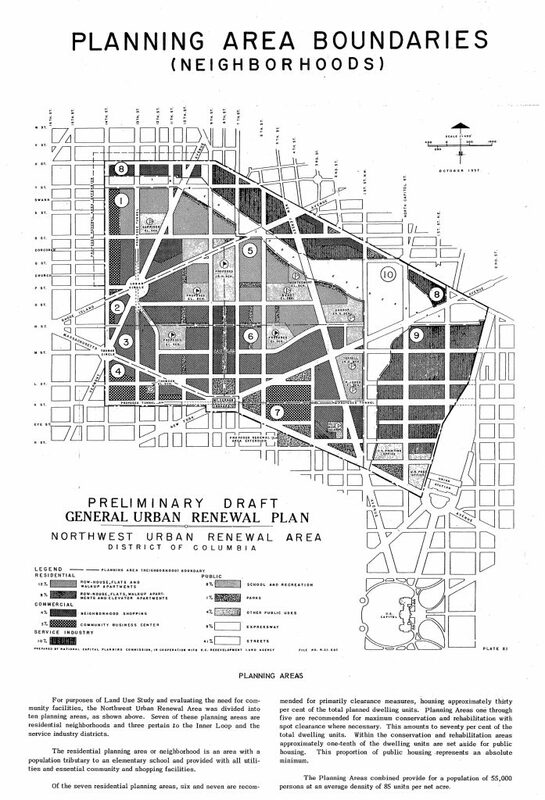 This prior to the urban renews plans and prior to Shaw being named Shaw as a neighborhood. 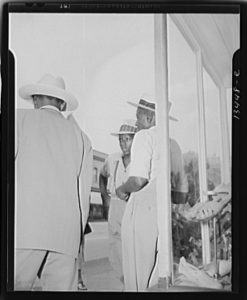 These photos were taken by the noted African American photographer Gordon Parks. He like other notable photographers like Dorothea Lange, worked for the Farm Security Administration. As you can see and as you know, this area is not a farm, little matter…. old timey pictures, yay! 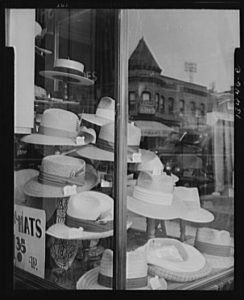 Display window at 7th Street and Florida Avenue, N.W. If you look in the reflection of the window with the hats, I believe you can see the building that houses Halfsmoke, maybe. I know there was a football stadium over there where Howard University Hospital sits, and those are the stadium lights you can see in the reflection as well. However the turret is not exactly the same so, I’m not sure. From these photographs I can see hanging out on the 1900 block of 7th Street is a historic activity. 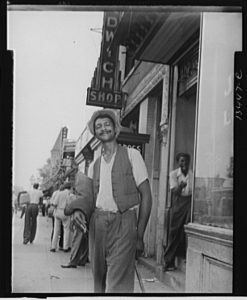 However the panhandlers of the 1940s were a heck of a lot better dressed than the hangers out and the odd panhandler found between Florida Avenue and S Street these days. They wore hats in the 40s. And they sold hats on 7th Street. At this moment I don’t think you can get a decent hat on 7th, unless you have one delivered to the Amazon pickup locker at the 7-11 on 7th and Rhode Island. Saturday afternoon, 7th Street and Florida Avenue, N.W. At some point I’ll actually get around to posting the things I meant to post. Until then, enjoy.